Battles are changing, and it's not just DMC that are feeling the winds of change. The IDA is doing the same thing as well, and the show category now embraces all the goodness that the digital age brings. 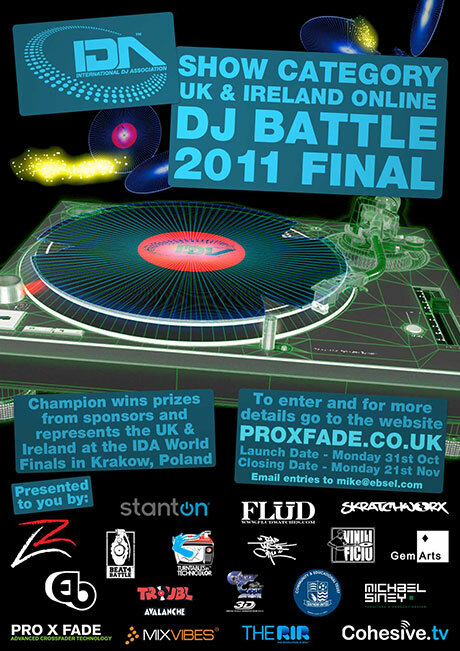 This year's UK and Ireland battle is an online affair co-ordinated by Ebsel, makers of the Pro X Fade and they want to fly someone to Poland to bring back a trophy and prizes. 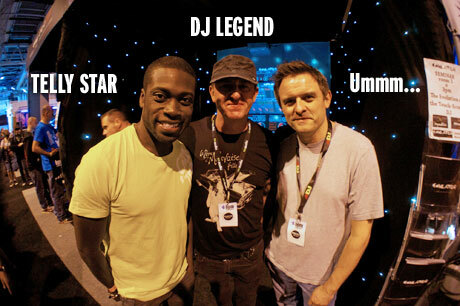 The heroes of DJing as we know it are not always who you think they might be. We know all the cool ones of course, but have you ever wondered where exactly where DJing comes from? 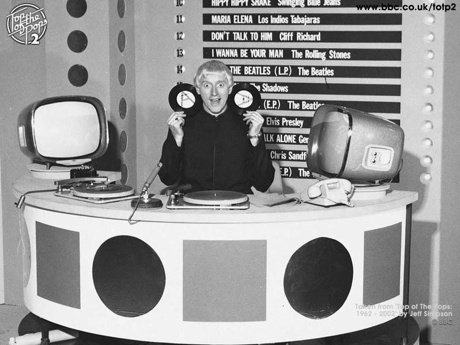 Well the guy who claims to be the first to ever use 2 turntables at a party died today. RIP Jimmy Saville. A year ago, the DJ internet was hot, like the surface of the sun hot, about the long rumoured demise of the mighty Technics brand. Granted, this rumour had, due to a confluence of retail chain chatter and allegedly official letters heading out all over the world, gathered so much steam that it was pretty much assumed to be true. But still in this melee of heresay, and despite asking, there was nothing with a Panasonic logo or a statement on a Panasonic website about it. Indeed, I’ve periodically looked on official sites for the last year for something. 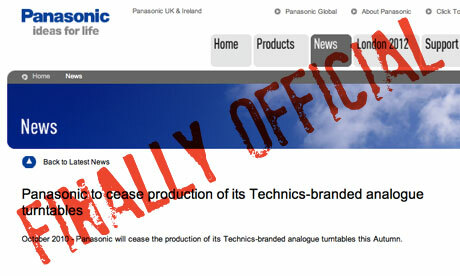 But today, Panasonic UK finally sent me me a link to the official statement that we all needed to see a year ago. For a while, we DJs found ourselves between the disparate worlds of analogue and digital. And now we're almost entirely in the digital world, we find ourselves in between the media and non-media worlds. So while many consider CD to be a relic of times past (well 5 years ago anyway), there is still a need for some to cover almost every base possible in these ever changing times. The Reloop RMP-2.5 let's you play your CDs, plug in your USB devices, or just hook it up to whatever flavour of MIDI software you use. This just in... after extensive field testing, the popular 4 channel misconception has been disproved, as it seems that you do only need 2 channels to mix 2 tracks together. 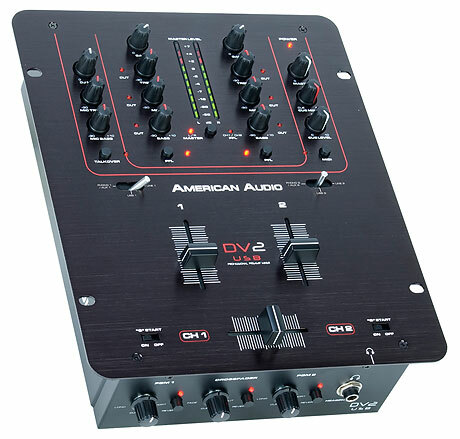 And American Audio are leaping all over this new found industry science in the shape of the DV2 USB mixer. As you might imagine, a slew of plastic controllers make blip on our radar, that more or less are much the same. But from time to time, something a little different attracts our attention long enough to make us want to play with it some more. 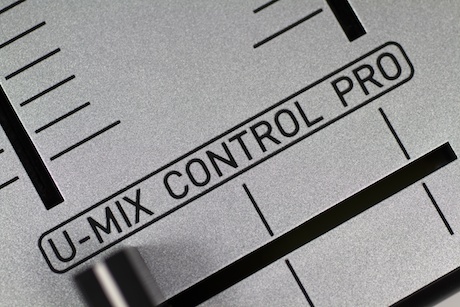 One such controller was the Mixvibes U-Mix Control Pro. It's a bite sized beast, and was verily despatched off over the pond to Filespnr. This is his first review for skratchworx. Do be gentle. One lingering item of unfinished BPM business is the rather generous giveaway offered by Vestax UK of a very shiny PMC-05 Pro IV for one incredibly lucky DJ. Well that winner has been picked. 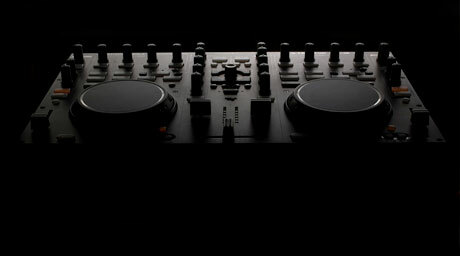 but that's not all - Vestax are giving more stuff away too, namely the soon to be released VCI-400. Just touching on a previous post, I hooked up with long time hero Danny Rampling at the BPM Show. Instrumental in the birth of the Rave and Acid House scenes, Danny has literally decades of experience at all levels of DJing, and has now decided to write all down and share it with you. Perfectly titled, "Everything You Need to Know About DJing and Success", the book is a epic tome that covers just about everything you'll ever need to know, and coming up to Christmas, should make an ideal gift for that budding DJ in your family. 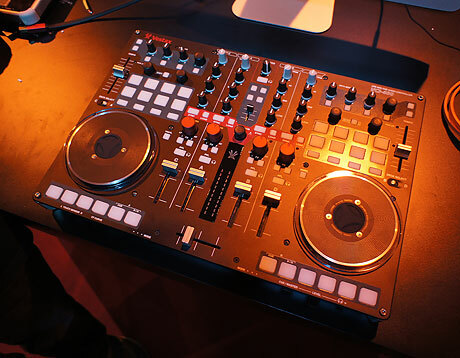 MIDI is everywhere in the DJ scene right now, but is on the whole generally confined to all in one DJ systems, mixers or button laden boxes. But this doesn't always work for everyone, so the desire to create more targeted devices becomes necessary. 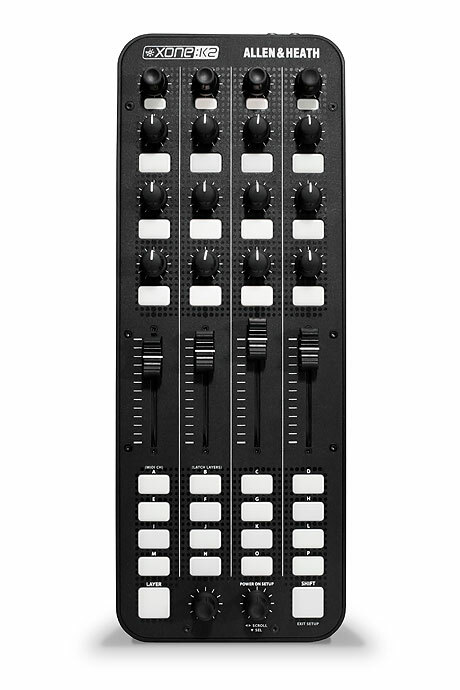 And this is exactly what the tkrworks PICratchBOX is all about - mixer meets pads in a highly focussed small format controller. We've got some exclusive info, not seen anywhere else. The last few days have been all about iOS5, and in my case, donning my time served Apple tech support hat and updating the numerous devices scattered around skratchworx HQ. So it comes as no surprise that the Apple-centric guys over at algoriddim have been very busy too. So to compliment all the clever things that iOS5 brings, the various flavours of djay for iOS have been updated accordingly. Seems that my Photoshopping skills have caught the attention of the wider DJ market i.e. the part that cares little for fact and runs off half-cocked spreading rumours with no evidence at all bar a small photoshopped image. So I've added a disclaimer to the above image for those who have a problem dealing with reality. 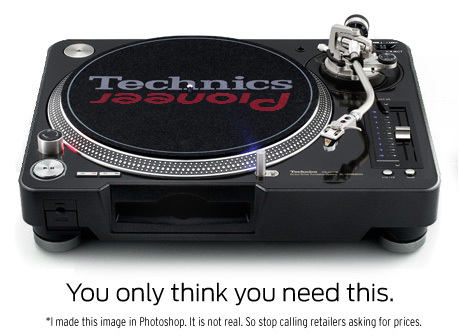 Let me state this plain and clear - THERE IS NO TECHNICS/PIONEER HYBRID TURNTABLE. Not now - not ever. I made it up. DJ Rasp really was in many places at once at BPM. But I managed to grab him on the Vestax stand where he knocked out a couple of solid trademark sets utilising a variety of Vestax units, namely PDX3000 turntables, 05ProIV mixer and the offensive weapon that is the PAD-One. The surface plug and play gloss of MIDI hides an arcane world, where only the braver amongst us dare to tread. But sometimes, it could be worth manning up and peering into the dark abyss beneath, especially right now as Serato have unleashed ITCH 2, complete with the SP-6 sample player, but no MIDI. So you can operate it via the keyboard but wouldn't it be nicer to do it via a controller? Well thanks to Bome's MIDI Translator, you can. Jared Helfer holds my hand through the basics and then lets me run free to fill in the blanks. I guess some DJ companies have a little way to go before mastering the delicate art of new product teasing. Some are a tad too vague, giving the reader little chance of ever guessing what the shapeless blob is in the blurrycam picture. Others give perhaps a little too much away, especially when everything is all but given up when you tweak curves in Photoshop. And then there's this. If I say it's from Denon, can you possibly guess what it is? I sat in a very interesting meeting at BPM, where industry people like myself were asked important questions that in these times of breaking down boundaries, could really do with some more definitive answers. 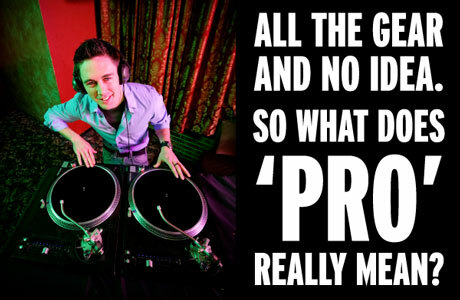 The first one is relatively easy - what is a pro DJ? The second however is likely to polarise opinion, because of people's perceptions and prejudices - what do you class as pro DJ gear? 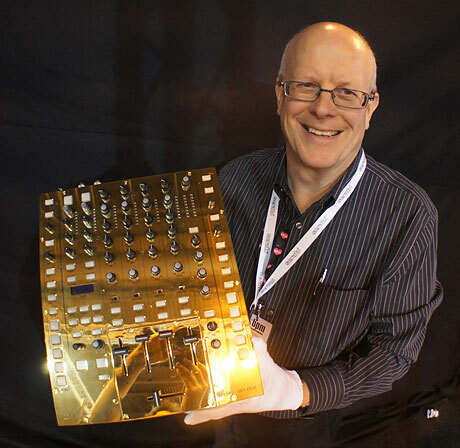 This is Dean Standing, Sales Director for Rane. Why is he smiling? I have no idea, because I'd be crying if I were giving away a Gold Sixty Eight hand crafted with the loving care. But given away it is - to the oh so worthy DJ Vajra, who has quite righty scooped the 2011 DMC title. But to me, it's how this mixer has been put together that is of most interest. Oh dear. I have just witnessed the collapse of productivity for ever. Or is the rebirth of creativity? As you'll know, I was somewhat enamoured with Maschine when it came out. And up to now, I've been thankful that I've never had a unit to lure me away from my work. But I believe I've just found the perfect partner for my new iPhone. Behold the majesty of iMaschine courtesy of Jamie Lidell. Given my advancing years, it seems that just about everything is a young person's game these days. But the BPM Show has underlined this more than ever. A few years ago, the average age was much higher, as were the waist measurements. But now we're in throws of a revolution, where the tables have turned (see what I did there?) 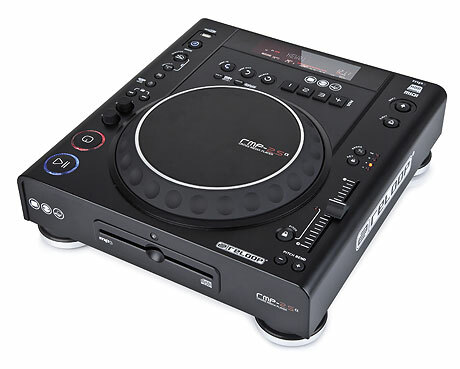 and instead of sophisticated new pro level shiny for people with disposable income, DJing is very much about consumers, controllers and specifically kids. 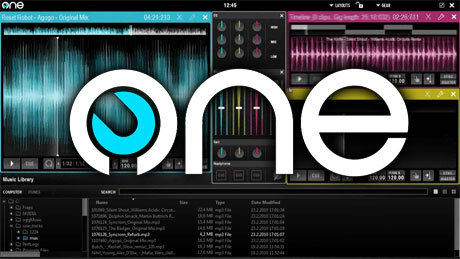 You can hardly fail to notice that Native Instruments' Kontrol S2 is upon us. It's in the shops now, and to show that it's not just some me too controller, they commissioned personal fave DJ Dummy to knock out a short set to show off its abilities. I'll keep this short as there's already an immense amount of press coverage. 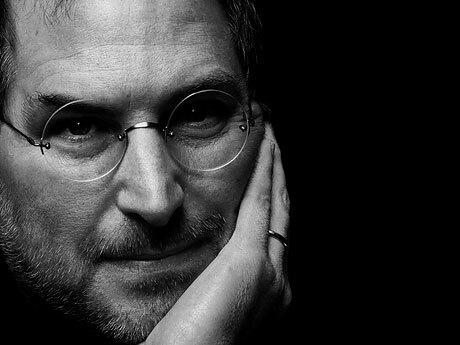 Steve Jobs, visionary co-founder and leader of Apple passed away, peacefully with his family around him. He was just 56. While there's a fair amount of fancy pants controllers being released by Pioneer, they have still got some back to basics old school stuff. 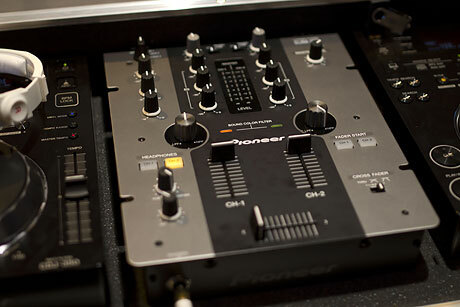 And one such unit is the new DJM-250 mixer - a classic 2 channel affair, with a nice twist here and there. I had a quick play and was impressed. On our little island of Great Britain, we have a TV program called The Gadget Show on Channel 5 - a show where tech obsessed presenters get to do all manner of stupid stuff with tech stuff. And last week they reached out for help with a particular challenge that presenter Ortis Deley was undertaking. 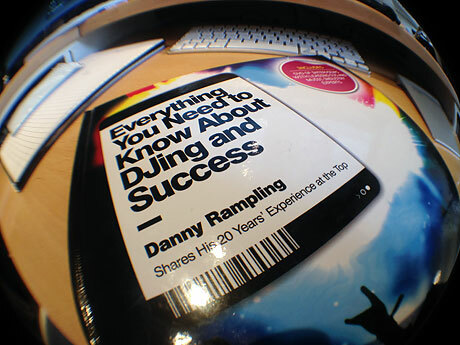 Assisting him with this was House pioneer and DJ legend Danny Rampling. So that's TV star Ortis Deley, personal hero Danny Rampling and me... on the telly, broadcasting to on average 2.5 million gear hungry viewers. No pressure then. 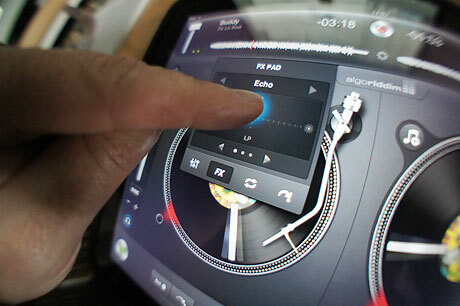 After a tiny degree of teasing seeing the image put under the photoshop microscope but not really yielding the info people wanted, Vestax have take the wraps off of their next big thing. The VCI-400 is an interesting controller, not least because it goes out of it's way to be as software agnostic as possible. Although I'd seen the description for this a couple of weeks ago, I still had a problem envisioning what this "Special K" might look like. 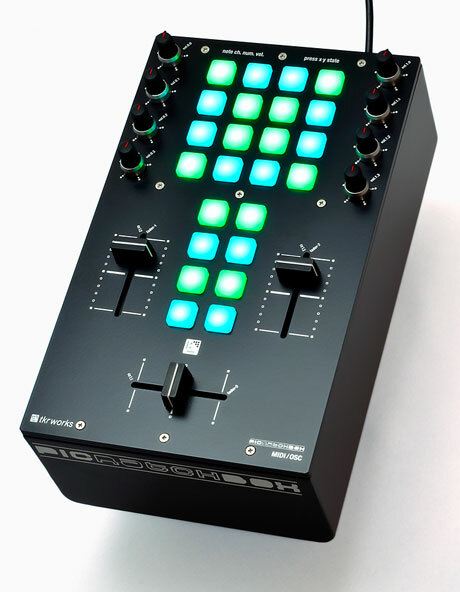 Thankfully, I have to envision no more as Allen & Heath have taken the lid of the secret box of multi-coloured buttons, called it the Xone:K2 (did you get the mountain link in my last post?) and it's thereabouts what I expected. It would appear that if I ever tire of the DJ world, I could always take up forensic photoshoppery. I'd say that I did a pretty good job of crafting video stills into a coherent mixer image wouldn't you? 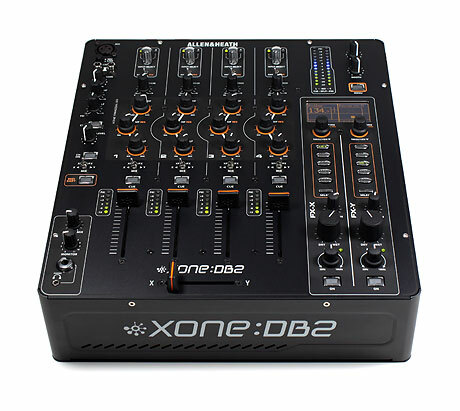 And now you can see what the Allen & Heath xone:db2 is all about. As I alluded to earlier, I arrived chez BPM so I could mooch, potter and generally get a head start on the crowds. I'm not one for pulling the press card and having the common folk ejected from my place in front of the gear, so I've scooped out a few early doors things for you, one of which hasn't even been announced yet, and nobody else has this either. 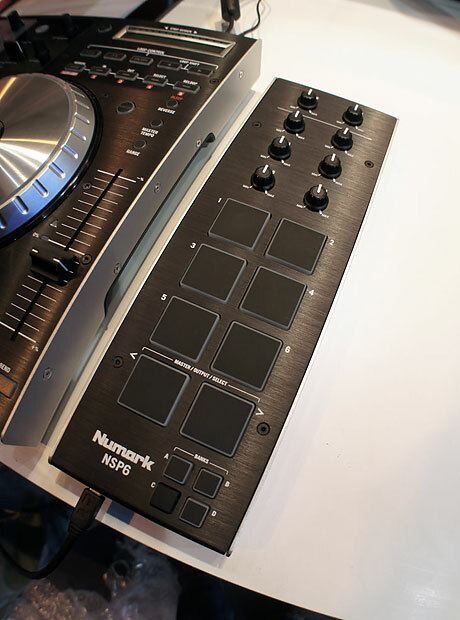 Check out the SP-6 sample friendly prototype Numark NSP6.